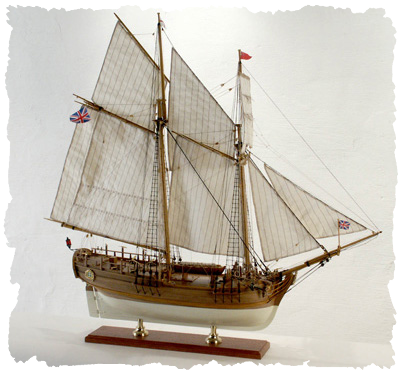 The Lyde was built in an English shipyard near Plymouth around 1787 as an armed cargo boat. It was used as a transport for war materials to support the English ships at the siege of Genova during the Napoleonic Wars. The following photos are an example of how is the finished model.